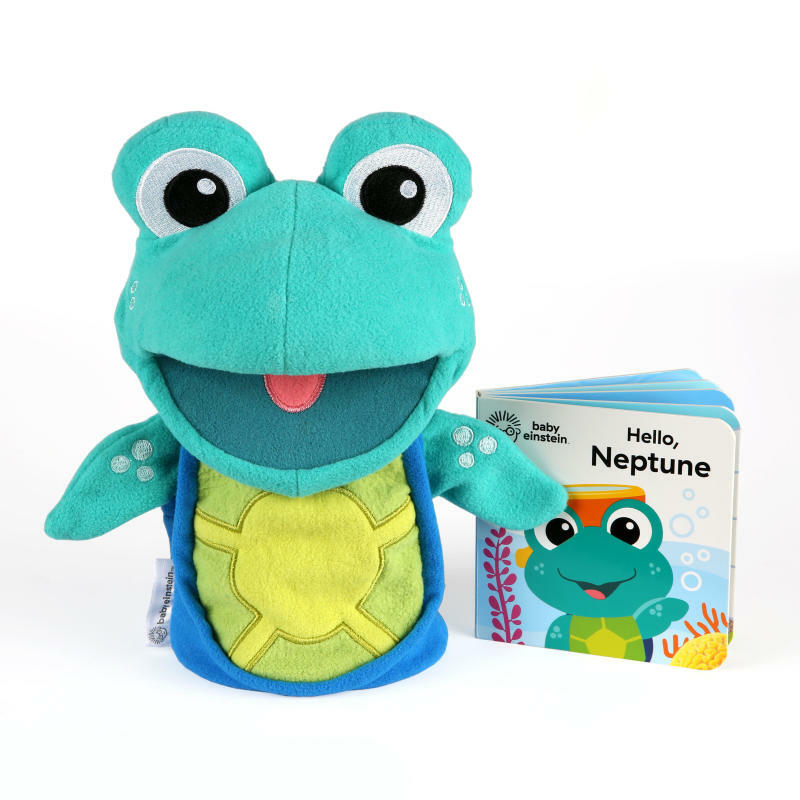 Storytime with Neptune Puppet & Book is rated 4.9 out of 5 by 7. Dimension (in) 4.4" x 5.5" x 9"
Rated 5 out of 5 by Dana4686 from Fun and Interactive! My little one (8 mos.) loves anything that makes a book "interactive", and this hit the spot. He loves to try to eat the nose/eyes of the hand puppet while I read to him. Definitely recommend for our little curious readers! Rated 5 out of 5 by Jessrenee2891 from Very cute toy It is a very nice toy and book for 0-6m. Simple book with bright colors. The puppet is also very soft and simple. Rated 4 out of 5 by Tyler from Puppet and story time fun Provided lots of laughter for both our toddler and infant! Well constructed puppet and cute story to go with it. Rated 5 out of 5 by Ajsw from So sweet This is the cutest thing! The frog puppet is soft to the touch so baby loves it. The story to go along with it allows for great interaction between the baby and the parent.